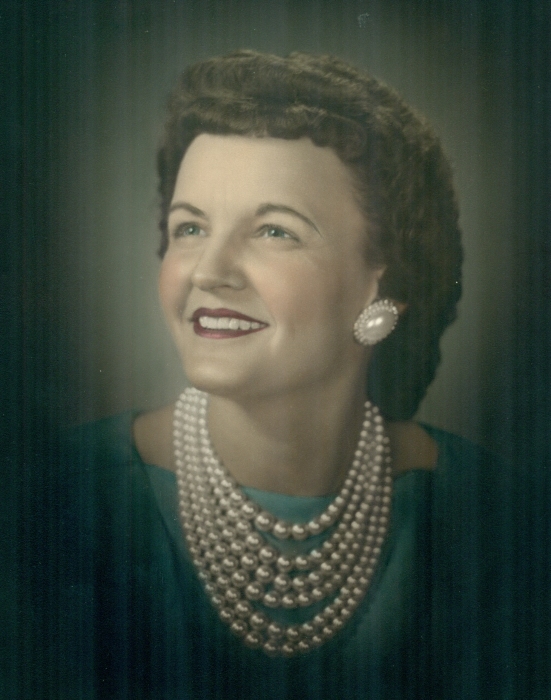 Mollie Parks Taber, age 97, died Tuesday at The Laurels of Forest Glenn in Garner, NC. She was born in Wayne County, NC to the late John W. and Bertha Snow Parks and was a member of Hood Swamp Friends Meeting Church. A funeral service will be held Saturday at 12:00pm at Shumate-Faulk Funeral Home with Pastor Bill Garner officiating. Burial will follow at Wayne Memorial Park. The family will be receiving friends one hour prior to the service from 11:00am until 12:00pm at Shumate-Faulk Funeral Home. Ms. Taber is survived by one daughter, Ramona Deparke; sister, Winnie Rose Mathews of LaGrange; three grandchildren, Tonja Blakeley, April Mort, and John Kevin Grant; and a great-grandson, Connor Johnston. She was preceded in death by her son, John Lester Grant and two sisters, Margaret Daniels and Linda Marie Stevens. Shumate-Faulk Funeral Home and Crematory, Inc. of Goldsboro is serving the Taber family and online condolences may be sent through www.shumate-faulk.com.